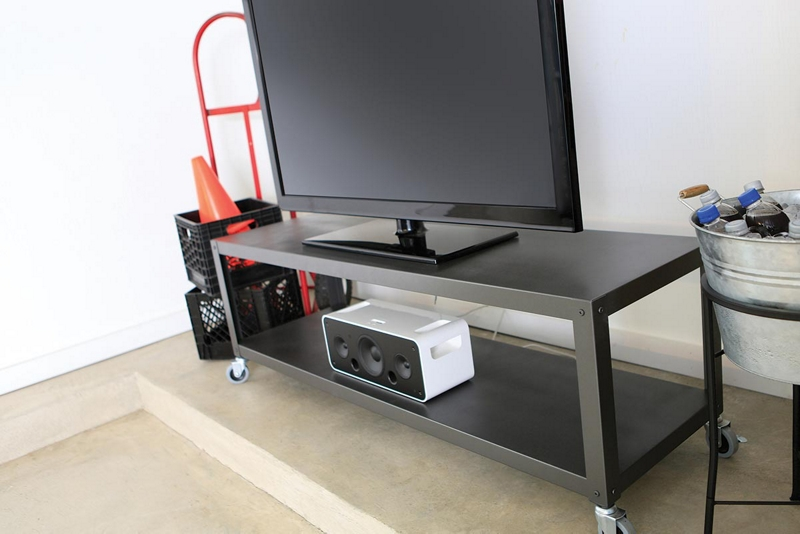 Krylon® Rust Protector™ Hammered Finish - Charcoal Gray will add a unique finish to your media/entertainment center. View additional Spraydown spray paint projects from Krylon®. Using an all-purpose cleaner/degreaser, wipe down the entire media center to remove all dirt and grime. Rinse thoroughly with water and allow to dry. If paint or rust is flaking off the surface, use a wire brush or sandpaper to remove it. Wipe clean.. Applying in a well-ventilated area, begin painting at the top of the media center, holding the can of Krylon® Rust Protector™ Hammered Finish - Charcoal Gray 6-8 inches from the surface and paint using a sweeping side-to-side motion with slight overlap. Work your way down sides, legs and bottom shelf, repeating steps 4, 5 and 6. Krylon® Rust Protector™ Hammered Finish dries in 8 minutes or less, and can be handled in less than one hour.